Your car deserves the very best when it needs repairs or routine maintenance done. Are repairs made by the book, and no short cuts are taken? Is the work being done up to the standards set by the manufacturer? Typically usual shops aren’t as equipped to handle German auto repair, but at Ryan GMW they specialize in German makes and don’t take any shortcuts, to ensure you receive the highest quality of service each visit. Considering waiting for your vehicle when it needs repairs done? Then you’ll want to know if the waiting room will be accommodating and comfortable. One way a waiting room can be accommodating is by providing free WiFi to customers that choose to wait. Another great feature is comfortable chairs. There is nothing worse than having to sit and wait in tiny, uncomfortable chairs. What about refreshments? There should be both water and coffee available at no charge to customers allowing for a more relaxing atmosphere while you wait. Possibly, one of the greatest concerns for customers looking for auto repair is the cost. Having repair work and maintenance done at a price you can afford and that is reasonable is very important. Ryan GMW offers reasonable pricing on all work performed and rivals many in the area. When choosing an automotive shop for your German vehicle, such as a BMW, you’ll want to know if the technicians are certified to handle the complexities that BMW’s are known to have. At Ryan GMW the owner is a Certified BMW Master Technician, as well as ASE certified. It means that you are getting the very best regarding knowledge and service for your vehicle. An automotive service center should be large to accommodate for many vehicles to be worked on simultaneously. It will allow for your service time and wait time to be significantly cut down. Size isn’t the only things that will create a more productive automotive shop, a clean and well-organized store will be one that will get the work done faster, especially when a technician doesn’t have to search through things to find the right tools for the job. 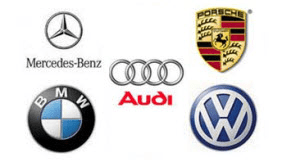 When looking for the very best for German auto repair, find a service center that has these great qualities, and you won’t be disappointed. Previous PostPrevious BMW Fuel Pressure Regulator: How to Know If It Needs Repair?